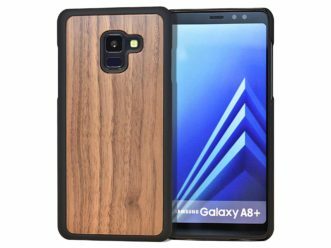 We offer Samsung Galaxy A8 Plus wood cases made of a combination of wood and polycarbonate. 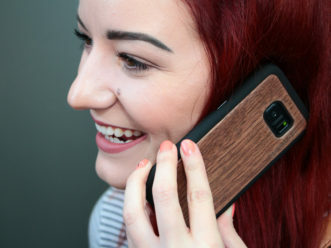 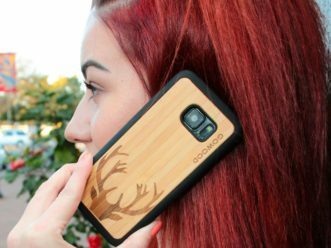 Our Samsung Galaxy A8 Plus cases are made of bamboo or walnut wood. 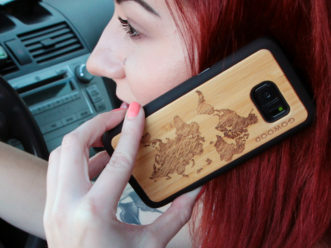 All bamboo wood cases have beautiful engravings on the back. 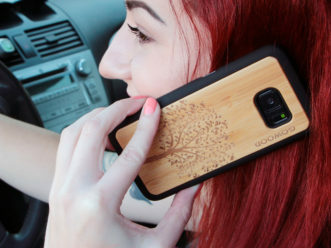 The strong shock absorbing polycarbonate acts as a bumper and protects your phone if it drops.